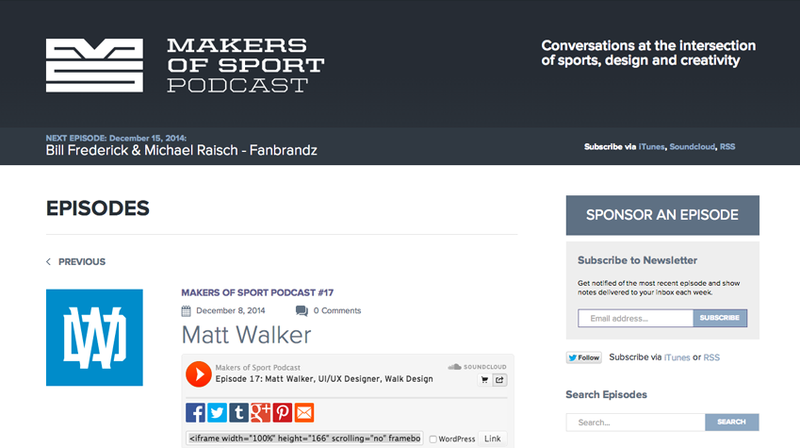 Matt sits down with Adam Martin of Makers of Sport Podcast to discuss Sports design, web design, mobile and more! Take a listen and let us know what you think! 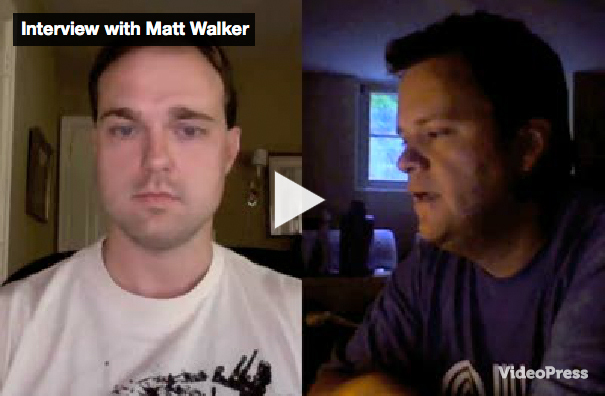 “Matt Walker of Walk Design joins the show this week to talk about designing for the multi-million dollar fantasy sports industry. You may know him for his work on the Fantasy Sports line at ESPN, including the ESPN Tournament Challenge app, as well as the ESPN Fantasy Football iPad app. Matt’s been working in interactive design since its infancy and up until mid-2014 was lead creative for ESPN’s Fantasy Sports division. In this interview, we jump right in discussing digital design and the things that accompany it – including designing in code vs. designing in Photoshop, idea execution, wireframing, staying up-to-date with technology, over-designing, the perfect world’s digital process and more. Matt and I also do a deep dive on what it takes to be professional consultant versus a freelancer or technician and touch on the tactic of positioning one’s self to solve business problems rather than being a gun-for-hire.